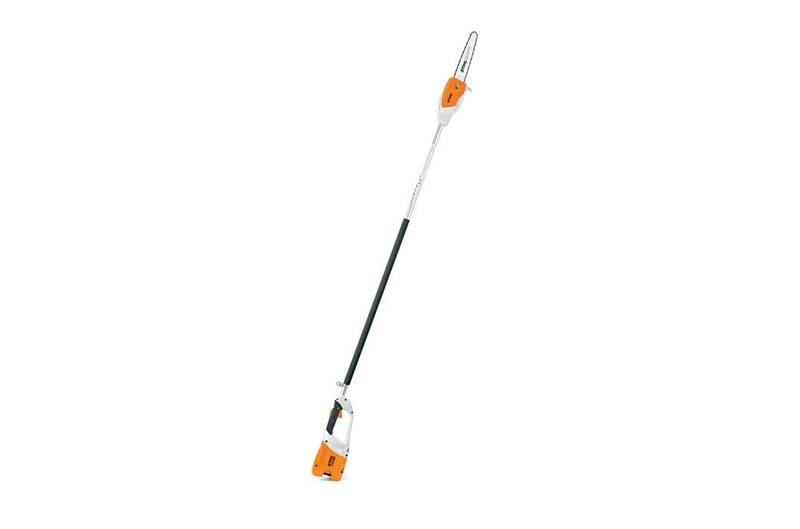 Fixed length pole pruner with Lithium-Ion battery technology. Batteries & chargers can be purchased separately or as a combined set with tool. 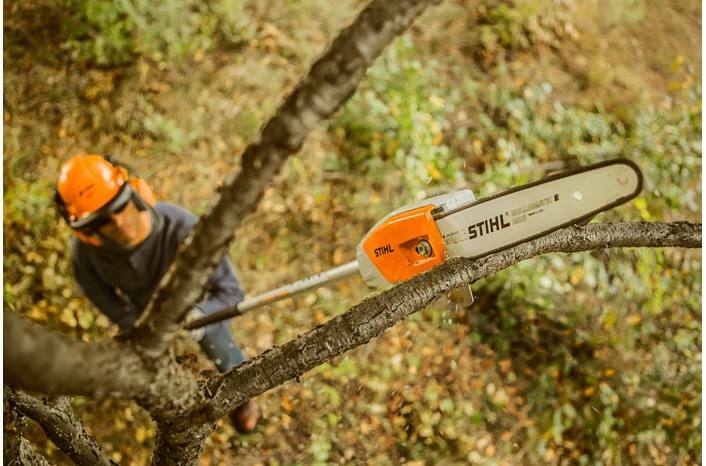 Eliminate fuel costs and get the convenience of Lithium-Ion technology with the battery-powered STIHL HTA 65. This fixed length pole pruner is a cordless, low-maintenance and environmentally responsible option for professionals and homeowners alike. Running on an advanced 36-volt Lithium-Ion battery, the HTA 65 eliminates the need for fuel and two-cycle oil, and considerably reduces maintenance needs. 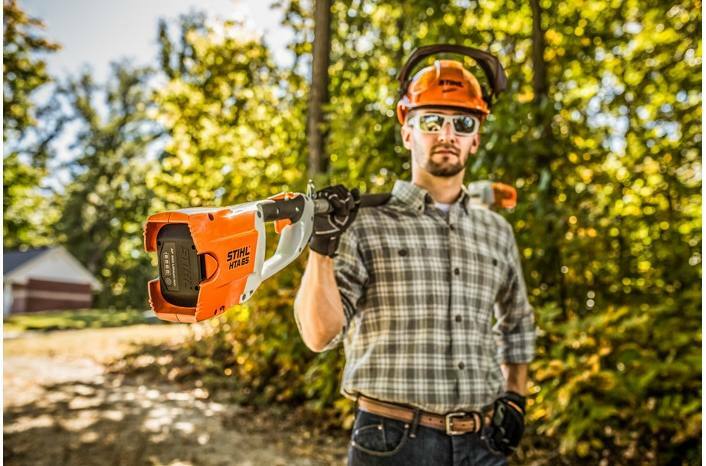 It offers users low noise and lower vibration levels than its gas-powered equivalents, as well as automatic chain oiling and increased portability, making it the perfect pruner for many tree care needs. 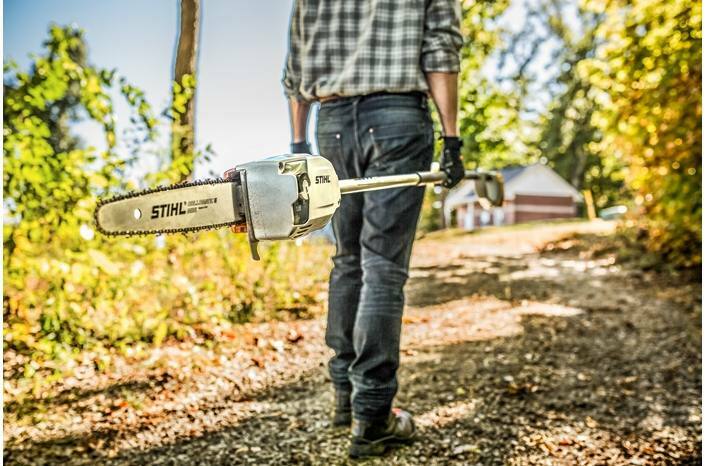 Our lithium-Ion batteries are designed to be swapped between multiple STIHL battery-powered tools, so you can use a single battery to tackle a wide range of outdoor projects. Batteries & chargers can be purchased separately or as a combined set with tool.